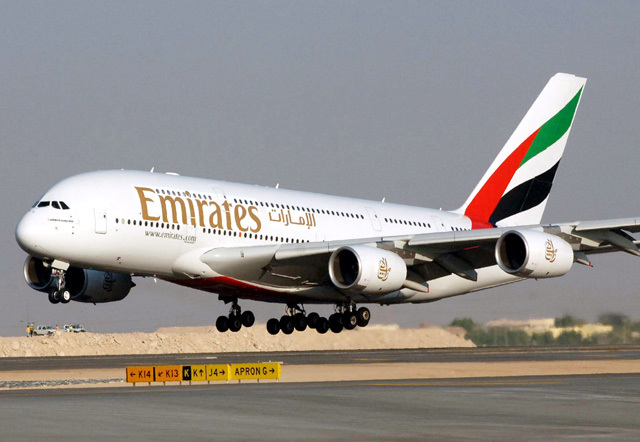 Dubai: Emirates on Monday announced the inaugural of the first ever daily commercial Airbus A380 flight to the Moroccan city of Casablanca, starting March 26, 2017. The airline said in a statement that its flagship aircraft will replace the currently used Boeing 777-300ER aircraft on the Dubai-Casablanca route. The switch to the 491-seat aircraft will offer 14 private suites in First Class, 76 lie flat seats in Business Class, and 401 seats in the Economy Class cabin. Approximately 260,000 passengers and more than 10,000 tonnes of cargo were carried between Dubai and Casablanca by Emirates in 2015.